Yamaha will be releasing two new Clavinovas in September; the CSP-150 and CSP-170. The US MSRP for a matte black finish is $3,999 and $5,399 respectively, and $600 extra for polished ebony. The extremely impressive specifications of these instruments can be found on the Yamaha website. But Audio-to-Score is the new feature setting these instruments apart. This teaches you how to play virtually any song you may have in your iTunes music library, even if you are a beginner and can’t read a note of music. This functionality requires a tablet (computer). Apple iPads work now, and support for Android devices will follow in 2018. The Smart Piano app lets you, the user, “scan” any song in your iTunes library and generate a chord chart. This can either be used to accompany the song, or the tune can be taught to the player by means of a series of interactive “Stream Lights”—four LEDs lined up above each key. The following video explains how this all works. For the beginner, this is something of a gamechanger, as here is an instrument that teaches you your favourite tunes—the tunes you really want to play. You can select accompaniments of increasing difficulty. So, as you get more confident, you can attempt more complex arrangements—continually moving up to the next level. 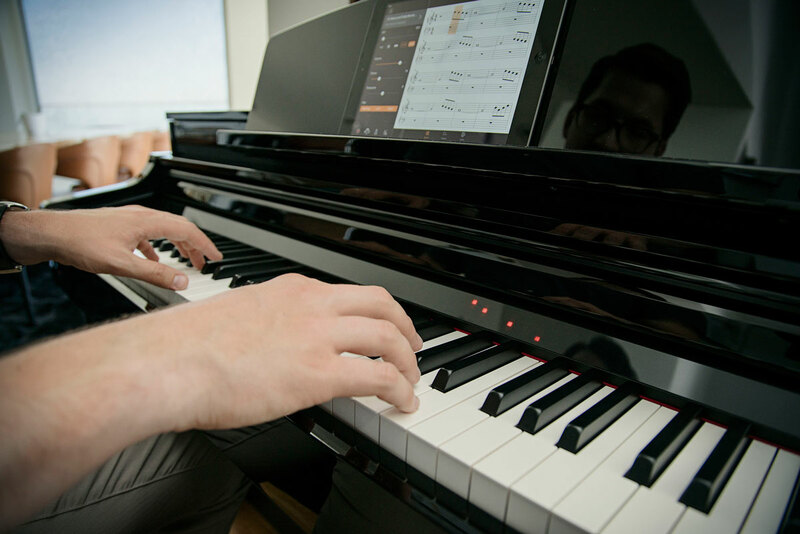 100 popular and classical songs from the likes of Adele, Sting, Elton John and Coldplay are also built into the Smart Piano app, along with 303 lessons by Beyer, Czerny, Hanon and Burgmüller. Soundwise, these Clavinovas feature painstakingly sampled renditions of two of the very best concert grand pianos in the world—the Yamaha CFX and the Bösendofer Imperial. The CFX was sampled binaurally, which gives an extra dimension to the sound when using headphones. In addition both instruments feature 692 voices, and 29 drum/SFX kits, with 256 note polyphony. 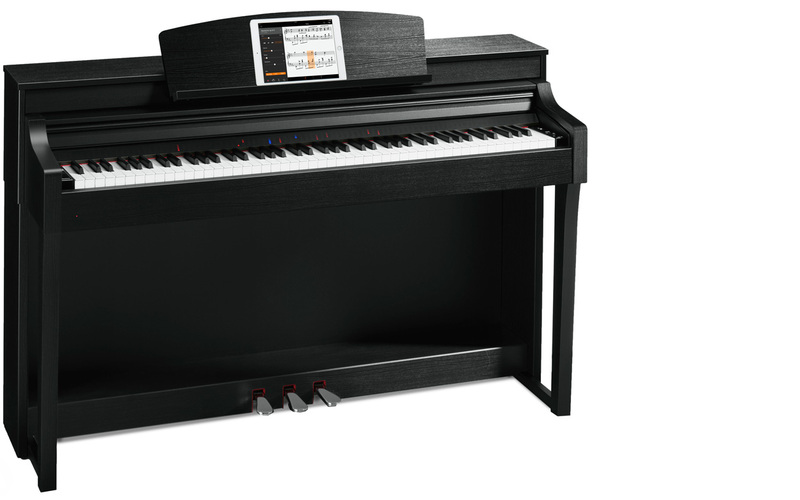 The CSP-170 utilises Yamaha’s Natural Wood X (NWX) keyboard, whilst the CSP-150 uses a GH3X Graded Hammer keyboard. The former Clavinova also has a more advanced amp/speaker combination. There have been countless instruments with learn-to-play facilities over the years. This is probably the most exciting yet to arrive, albeit at a price.